Description: Explanation of the DVD2One settings and simple guide on how to do a full disc backup using DVD2One. 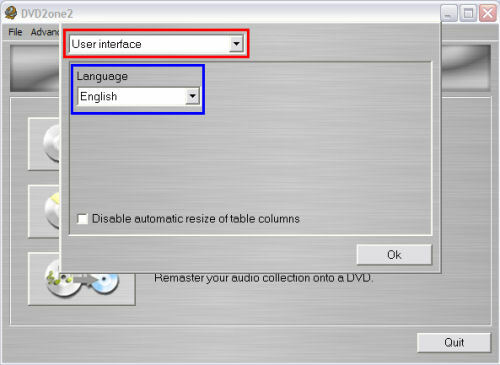 With DVD2One you can make movie-only and full disk copies for personal use on a single DVD-Recordable. Unique video compression engine: combines blazing speed with the highest quality. Multi-processor, multi-core and multi-computer (grid) compatible. Process a movie to fit on a single recordable in a matter of 15 to 30 minutes (depending on the speed of your computer). Make movies-only copies. Why waste space and image quality on unnecessary intros, menus and language tracks? Make also full disk copies. For those who want to keep those fancy menus and intros. Powerful join mode. Useful for putting multiple episodes of a (tv) series or joining both sides of a flipper on 1 disk. Re-master your CDs on DVD in Super CD quality. Written from scratch, not based on any old code, libraries or existing open source projects. Time critical parts written in assembly, for the highest possible speed. Both PC Windows and Mac OS-X versions available. Note: DVD2One software only works with unprotected DVD files. DVD2One has no "decrypting" abilities.